The Xinlin X181 is something that you need to buy if you are looking for a powerful, fast drone that will train you up before entering the realm of FPV racing. I recommend it to intermediates who are looking to become advanced. 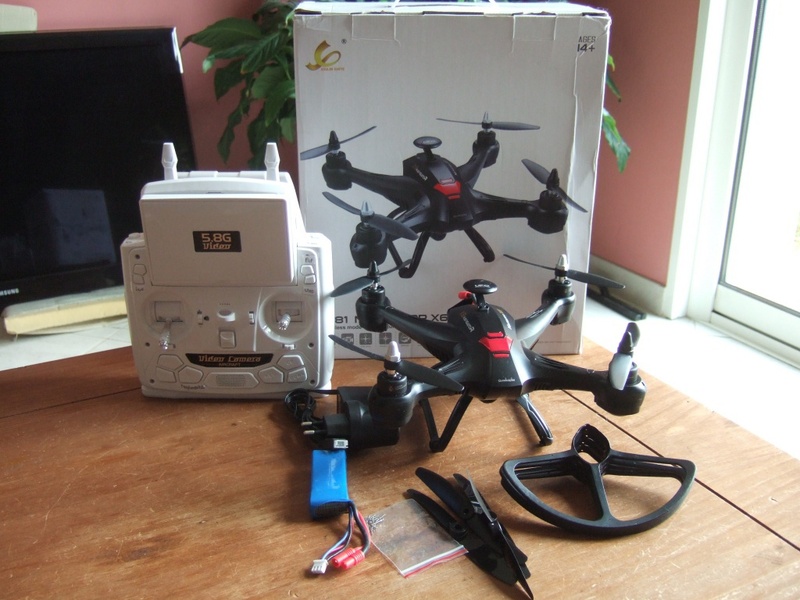 On this page I will list both the pro’s and the con’s of the Xinlin X181, and there will also be a video giving you a hand’s on idea of what this drone is all about. (Despite false advertising explained in the video and in the “Con’s” section) Xinlin have equipped this drone with some big direct-drive brushed motors. By adding motors of this size and thrust onto a small quad, you will be getting a flight performance which is quite similar to a brushless FPV racer’s. Indeed, I am quite surprised that no one has tried a weight to thrust ratio in a drone like this before. If they have then please comment below and tell me. Incase you are unaware, brushed motors are way better than brushless motors in terms of price (they are cheaper) and ESC’s of brushless motors can sometimes fail you. The quality from the 5.8Ghz FPV video is decent! It’s not choppy but not 100% smooth all the time. The FPV video range is good. We were able to get the Xinlin X181 over 100 meters away and FPV video feed did not cut out. There was some false advertising in respects to the brushless motors, true 720p video, or altitude hold (it didn’t have any of these features.) However, with that being said, it’s flight performance was spectacular and therefore I have forgiven them for these hiccups in their advertising. It weighs 283g with the battery means that you need to have a FAA registration. Here is a flight demonstration. In the video you will see the pro’s and con’s debt with hands on. Enjoy! Thanks for reading this and if you enjoyed it please share it below.